Thousands of visitors head to Pelham, Alabama each year to visit the attractions, and bask in the natural beauty that can be found there. There are so many opportunities for you to take part in outdoor activities such as hiking, swimming, fishing, boating, skiing, and so much more. 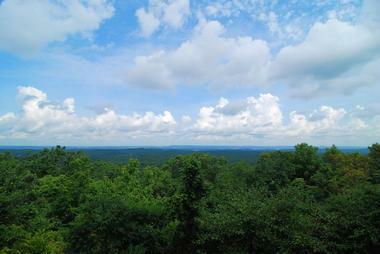 Spaces that are unique to the area include Oak Mountain State Park, the Alabama Wildlife Center, and Warehouse31. Oak Mountain State Park was a 940-acre park that was established during the Alabama State Lands Act of 1927; it has since grown to over 9,940 acres and is now the largest state park in Alabama. Visitors love spending a day at the park because of the array of outdoor activities that are offered there. You can spend your day hiking or mountain biking through their fifty miles of trails or combine it with an overnight stay in one of their campsites. 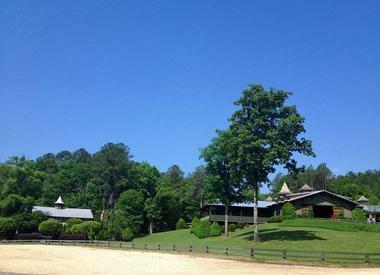 There is an 18-hole golf course, driving range, demonstration farm, and horseback riding facilities. Those who prefer being out on the water can visit the beach and swimming area, rent a boat, go fishing, or go cable skiing. The number of things you can do while there is endless and they’re sure to have something that everyone in the family will enjoy. 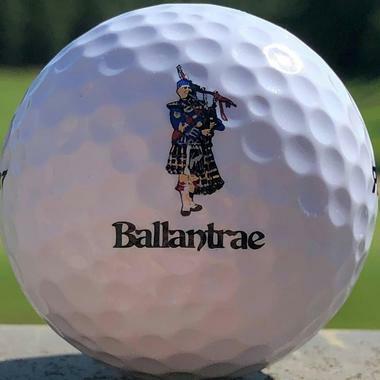 A favorite among Pelham’s residents and visitors, the Ballantrae Golf Club is a semi-private golf course that has won many awards and accolades over the years including ‘Top 50 Courses for Women’ and the ‘Best New Affordable Public Golf Course’. The 18-hole design, which was designed by internationally renowned architect Bob Cupp, is a fun and friendly way to spend the day. You’ll be able to enjoy the gorgeous views of the woodlands and scenic valleys that surround you while you play. 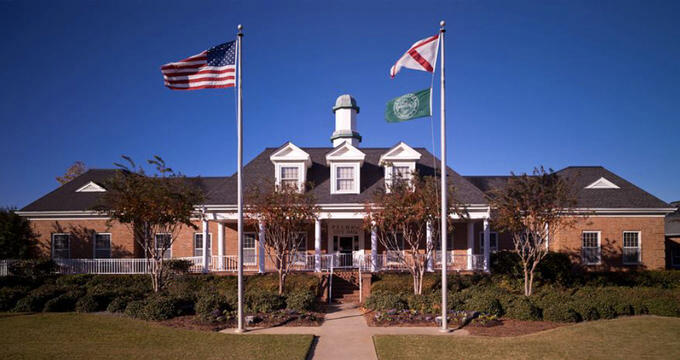 Other features and services include their clubhouse, Fireside Grill restaurant, golf lessons for varying ages, and their Junior Golf Academy. 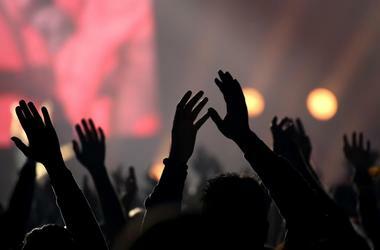 Formerly known as the Verizon Wireless Music Center, the Oak Mountain Amphitheater is one of America’s premier music venues. The outdoor amphitheater can be found right in the heart of Alabama and can seat up to 10,500 guests, making it the largest venue of its kind in the state. Leading national and international artists such as John Mayer and the Dave Matthews Band have performed on this stage. There are various events and performances hosted at the Oak Mountain Amphitheater throughout the year, so be sure to check out their event schedule and purchase tickets in advance. 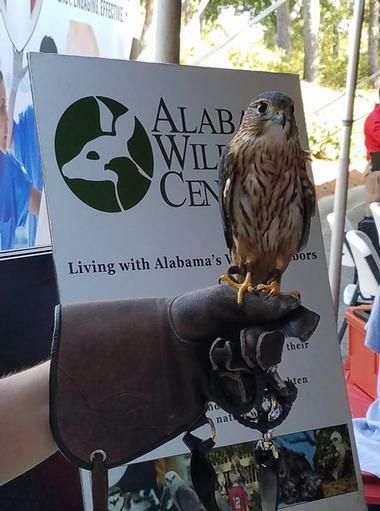 Caring for over 2,000 wild birds in various species, the Alabama Wildlife Center is the oldest and largest wildlife rehabilitation facility in the state. The nonprofit organization provides medical and rehabilitative care for several of Alabama’s orphaned and injured birds, ensuring that they are able to return to the wild seamlessly and as soon as possible. Visitors are encouraged to visit the center, which was founded in 1977, and get firsthand experience on what is accomplished there. There are several events held at the Alabama Wildlife Center throughout the year including camp programs, baby bird showers, and Owl-o-ween. Windwood Equestrian is a world-class equestrian property that was initially established as a training and stabling facility for beginners and competitive riders. They have all the training amenities and barns necessary on the property, which is surrounded by riding trails and rolling, wooded valleys. The original barn was built over seventy years ago, though many additions and renovations have been made over the years. Visitors are welcome to join their friendly and competitive riding school which will teach you to bond and ride your horse with confidence. Lessons can be private or semi-private and are a popular activity with those in Pelham. 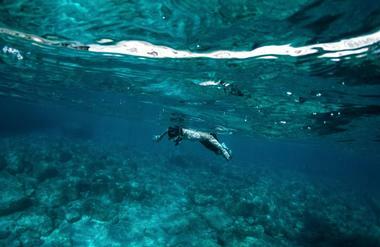 Alabama’s premier dive site, Blue Water Park is a wonderful place for recreational dives as well as dive training. Visitors of all ages and skill levels are invited to join Mark DiGiorgio, the owner and trainer of Blue Water Park who has over thirty years of experience. The outstanding full-service capabilities offering by the diving park includes air and nitrox fills, rental gear along with dry suites, and gear and tank repairs for people who have their own diving gear. Your experience with the knowledgeable and eager staff and instructors of Blue Water Park will ensure you have a memorable time. Warehouse31 offers one of Pelham’s most intense and frightening experiences. The horror-themed escape room will take you through 30,000 square feet of terror. There are three spooky options to choose from: Rigamortis, 3D Experience, and Monsters Midway. Monsters Midway is a great place to watch classic horror movies and play a few carnival games, while Rigamortis and 3D Experience are more hands-on, guaranteed to make your life flash before your eyes as bloodthirsty creatures, psychotic clowns, and murderous maniacs come after you. It’s sure to be one of your most memorable things to do while you’re in Pelham. Dedicated to promoting art to the visitors and residents of Pelham, the South City Theatre is a non-profit organization that produces several plays throughout the year. 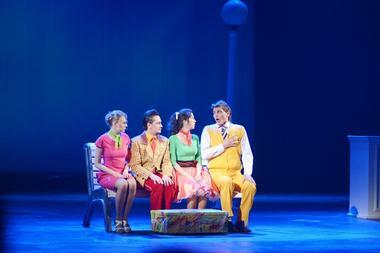 You can attend one of the six mainstage plays that are put on each year, each of which attracts thousands of patrons. Children ages 9 to 16 are urged to join their youth program and summer camp, Acting Up, so that they can study the art of acting under the direction of professional theatre instructors. A few of the productions that have been promoted at the theater include Bye Bye Birdie, Sylvia, Night Watch, and Almost Maine. Woodlot Artisans LLC was opened in 2015 by husband and wife carving team, Justin and Heather Bailey. Their art gallery and studio attract locals and visitors from all over the world who make sure to stop by during their visit to Pelham. 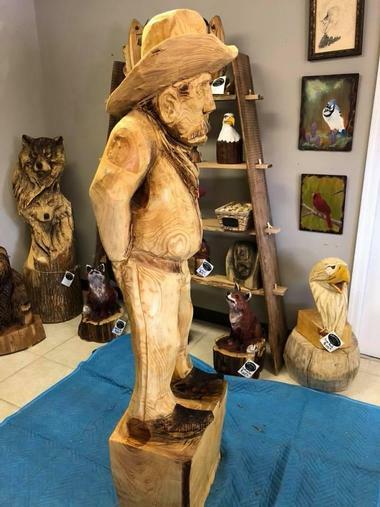 In addition to seeing all of their amazing sculptures, carved out of different species of wood, you’ll also be able to attend their art shows which attracts artists from various mediums. There are several demonstrations and teaching classes held there throughout the year for visitors of all ages to enjoy. Be sure to look into getting your own personalized work of art before you head back home. If you’re looking for mouthwatering, authentic Italian cuisine in a fun, family-friendly atmosphere, then look no further than Nino’s Italian Restaurant. Their trademark Canino cannoli is absolutely delicious, filled with praline cheesecake and covered in caramel. Their menu includes everything from pasta and pizza to calzones and Italian desserts. 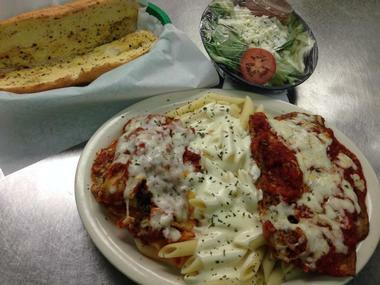 Some of their most popular items include the cheese ravioli parmigiana, baked ziti, their manicotti spinach mushroom alfredo, and a calzone filled with toppings of your choice. Visitors can choose to cozy up in one of their booths or book the main dining room or private party room for larger guests. A craft beer experience like no other, The Beer Hog is a wooden beer bar that was founded by experienced restaurateurs. Their passion for craft beer have allowed them to produce over sixty-five beer which are available on tap. There are over 300 bottled craft beers on the shelf to choose from as well. The bar is an extremely sociable place to meet up with friends, throw back a few drinks, watch sporting events on the large televisions, or enjoy an evening on their spacious outdoor patio. Additional aspects include the rotation of food trucks, beer tastings, beer release parties, catered events, and live music performances. 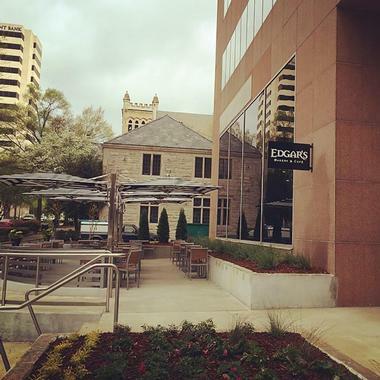 Customers from New York, Miami, Atlanta, and much further have all flocked to Edgar’s Old Style Bakery to take away some of their delicious baked concoctions. The bakery has been featured in several publications including Birmingham Magazine, Southern Lady, Romantic Homes, and much more. The family-owned, mom-and-pop style bakery uses fresh ingredients and recipes that have been tried and tested over the years. Head over there for breakfast or lunch to try their breads and pastries straight out of the oven; some of the popular items from their menu are the crabcake benedict, banana nut muffins, the turkey avocado wrap, and their quiche of the day.